I’ve been doing the Project 333 for FOUR WHOLE MONTHS. It’s time for an update. The Project 333 encourages us to whittle down our wardrobes to 33 items or less, then every 3 months re-assess, get rid of what we haven’t worn, and continue the process. STEP 1: I learn…that I have too many clothes! I had a huge amount of clothes that I never wore. Apparently this is typical. Some statistics say most women only wear about 20% of the items in their wardrobe. I’d agree with this. – what might go together to make a complete outfit. My wardrobe was an overstuffed shambles. STEP 2: I learn…that I don’t have enough clothes! The next thing I found was that although I’d got rid of a lot of clothes, my wardrobe was missing some key items to make it workable. For example, I had lots of tops I never wore, but I didn’t have a single pair of jeans that fit well to wear with them. 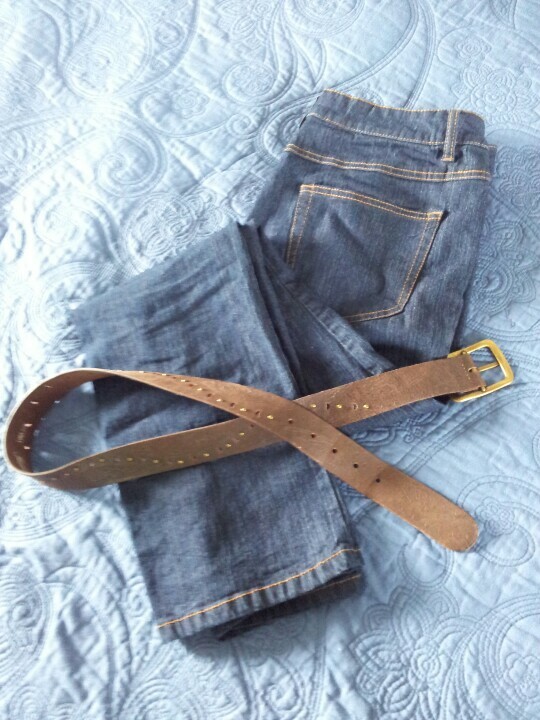 I now own two pair of jeans that fit – and good quality leather belts to wear with them! With summer coming on, I didn’t own summer sandals, or any summer tops or t-shirts that fit well. I was completely lacking tops that were “neat casual” – tidy enough to go out for a drink with friends, but comfy enough to wear around the house. Being a gym rat, I had heaps of gym clothes but nothing nice to wear outside the gym. I had lots of formal dresses (I’m a part-time singer), but nothing to wear to a cafe. My wardrobe had lots of clothes, but it all wasn’t working together as a cohesive unit. I had lots and lots of clothes, but nothing to wear. I learned I am a repeat offender. I don’t find fashion easy, so when I find something I like I tend to buy multiples the same. The result? Ten pair of gym trousers and about a dozen scrappy looking t-shirts, but no neat casual tops or dresses. I’ve now learned that one is enough. Except jeans. You always need more than one pair of jeans! d) I am human. I make mistakes. Some of those mistakes include buying clothes for the wrong reasons, or buying clothes that looked good in the ad but not on me. I’m okay with that. But keeping the item doesn’t make it any less a mistake. STEP 5: I learn…that less is better, easier, quicker, more fashionable! My wardrobe is much smaller now. I can see what I own and what I have to choose from. I know my options. It’s liberating. Having fewer clothes makes dressing easier and faster every morning. I look more pulled together. People are commenting. I have finally begun to accept that gym trousers are never acceptable to wear…outside of the gym! No gym wear – except for workout! This is one of the principles of the Project 333, and probably the hardest one for me to abide by. No t-shirts – except on weekends with kids! I wear t-shirts and hoodies too much. I need to tidy up my look. No gym shoes – except at the gym! I’m getting better at this, and recently bought myself some lovely new leather ankle boots which look much smarter with jeans. They make a huge difference to my look! 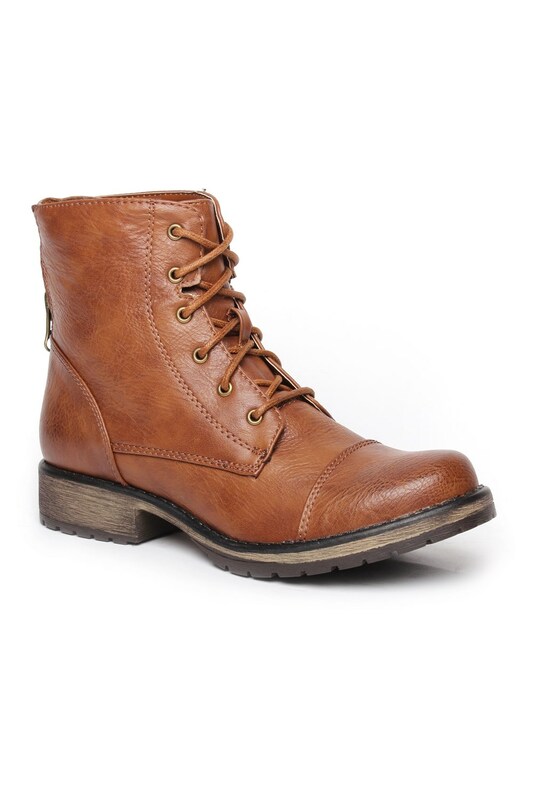 The new brown boots I bought. They go with everything, and look great with jeans. So much classier than gym shoes! Always wear a belt with jeans! Not only does a belt look tidy, it prevents me from continually pulling up and adjusting my jeans. Which is NOT a good look! Always wear an item of jewelry! Even wearing a ring makes me look well dressed. The little things make a difference. My wardrobe is in much better shape than it was four months ago. I recommend the Project 333 to everyone who has ever looked at a bulging wardrobe, stuffed full of clothes, and felt like they had nothing to wear. Thank you for posting your honest review on doing Project 333 over the past four months. I’m coming up to the three month mark with my first attempt at the project. Living in the northern hemisphere I’m having to work out what’s best for a cold winter and have been guilty of wearing the same three jumpers all the time. I do like the ease of Project 333 – there is always something that matches in my wardrobe but I find I have to be more on the ball in getting my clothes washed and there’s something missing – I don’t have as many individual, quirky pieces as I used to. Still undecided on whether this is for me…. Hi Kathryn – It takes a bit of getting used to, and I’m still getting used to it, but I can’t see myself going back to the way I was, if only because of budget reasons. What I’ve found re the washing issue is that keeping my own washing separate from the family’s really works well for me. I just do my washing once I might need something, and that way everything is there when I need it. When my stuff was jumbled up with everyone else’s I couldn’t keep control of things and had the sort of problem you mention – not having clothes ready when I needed them, with a smaller wardrobe. So now I have my own dirty washing basket, and it all works really well. One load a week keeps on top of everything for me. Where I live (Dunedin, New Zealand) it probably doesn’t get as cold as where you live, but we do get a few snow days a year and it gets pretty chilly. However, I found that investing in really good outer layers instead of lots of layers was the way to go, as most places I was going tend to be well heated. So now I’ve got good puffer jackets and a lovely warm insulated leather jacket I’m looking forward to wearing once the weather sets in, but I’ll be wearing much lighter clothing underneath. I’ve actually got rid of most of my jumpers, and just wear thermals underneath lighter tops, simply because jumpers were such a bugger to wash, and for that reason I wasn’t wearing them much anyway! But if jumpers are your thing, then own it! Have a dozen of them that you rotate, and enjoy them. As Courtney Carver says, this isn’t meant to be about deprivation. For me, the big issues were learning to avoid just living in gym clothes the whole time, and actually learning to dress more neatly (I’m a gym junkie). My weight has also fluctuated a LOT this year, and I’ve been dealing with that. But what the Project has taught me is that having LOTS of clothes doesn’t mean you’re well-dressed. I’m better dressed now on fewer items, because they’re what I like and what suits me. I think the trick to getting away from wearing gym clothes all of the time is to figure out a new default that you’re most comfortable in. For me that’s tunics and leggings and flats/boots/sandals depending on the season. Having a “new normal” has done more than anything else to keep me out of gym clothes. And I nodded along with everything you said you learned about your wardrobe through P333. The biggest surprise for me was how much of my clothing was in the “nearly worn-out” category. I’ve heard a lot of people have this buying pattern with makeup where they buy new when they’re almost done with an old item but then start using the new one right away and leave the old hanging around “for later” or “just in case”. I don’t wear much makeup but I was definitely doing that with clothing. How silly! Oh, that rings a bell! I do the same with makeup too – keep the old version lying around, “just in case”. Throwing things out and learning to let go have been hard lessons for me!